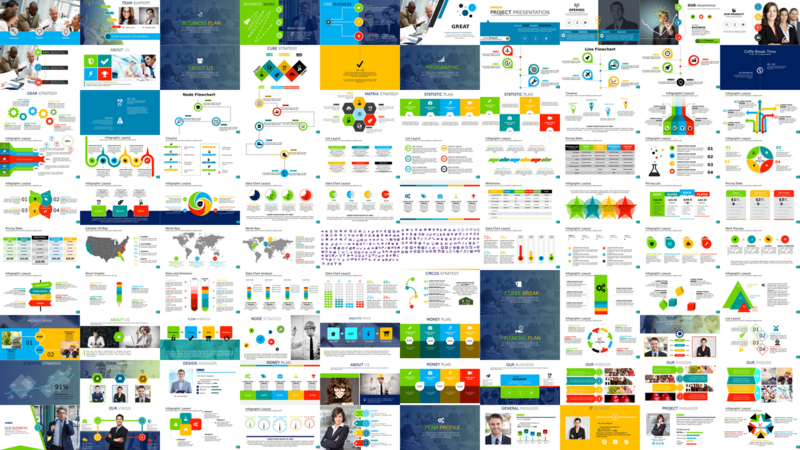 102 slide advanced business PowerPoint presentation in PPT and PPTX formats. This is a beast, it includes 5 color schemes. I've taken the time to rip every slide into JPG and PNG format so you can play with them independently, as well as including ALL the fonts used in the presentation in a separate directory, all the icons are located on the trailing slides. This slideshow works just fine in LibreOffice Impress as well. Includes directions to change out the color schemes. Some of these slide can be used as stand-alone infographics as well. 227 files, 102 JPG, 102 PNG, 6 PPT & 6 PPTX files with a PNG summary image in a 103.9Mb zip archive. All exif metadata has been stripped. You agree that the content you download here is only for testing purpose and shouldn't be used for commercial use or as a final product on a live site.